Some photos of the French no. 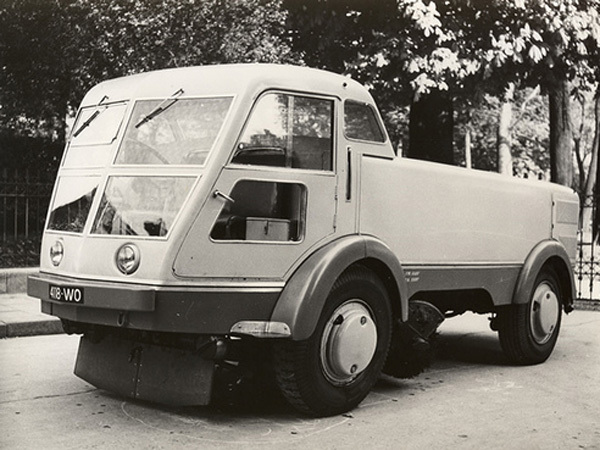 596, the cleaning vehicle used for the streets of Paris. 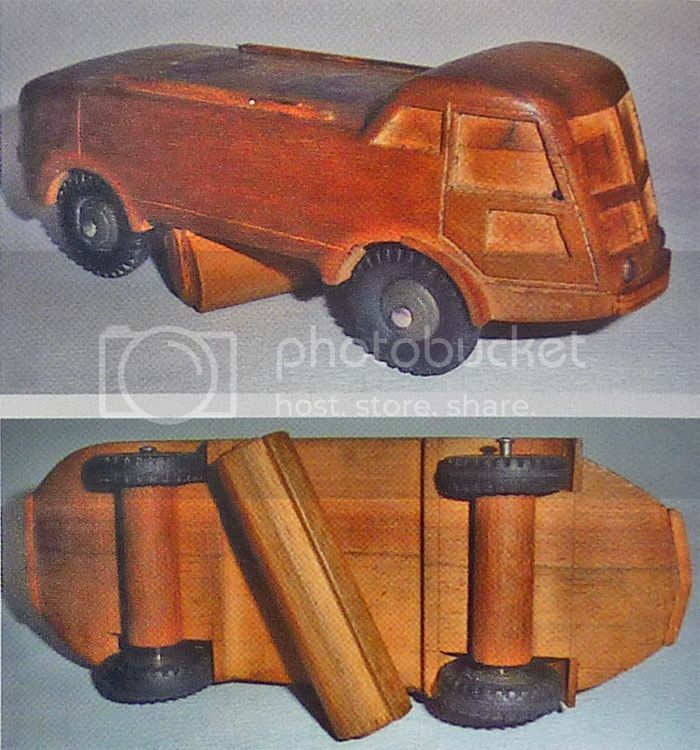 This is a unique model. On the box is written : "Sample painted by LMV for Firenze (Italy)". 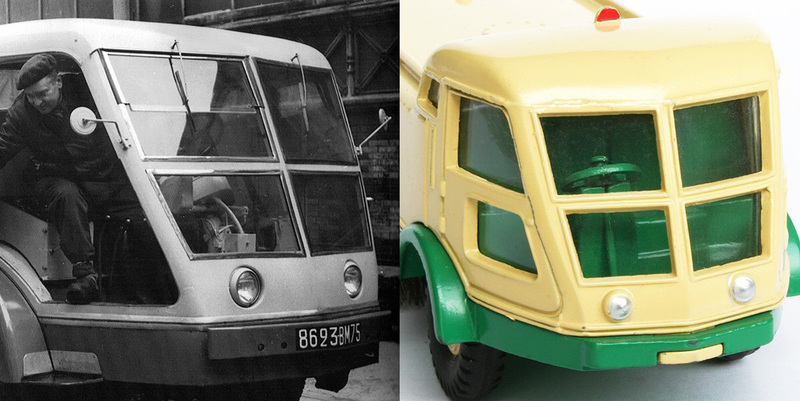 It is likely but not confirmed that a small batch of these sweepers has been painted by LMV and sent to a potential customer in Firenze, may be the city of Firenze. 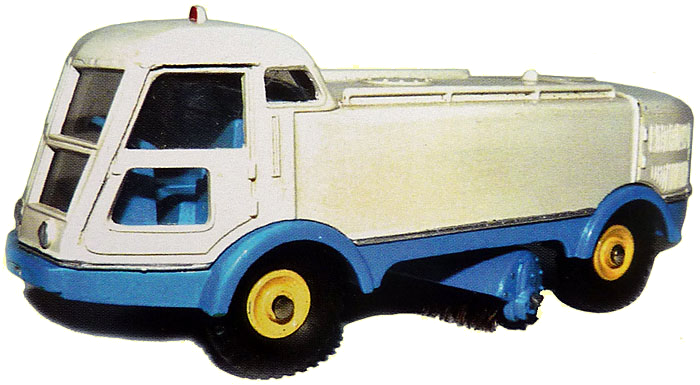 The wooden mock-up for the LMV sweeper. The guy who wrote this software must be mentally sick. Does he work for Microsoft ? Sorry folks, there is no way to write a decent post, if you want to see those pictures you will have to get the Encyclopaedia. Thank you for making promptly some of the improvements that I suggested but they are only minor things. there is only one way to make a post. One writes some text, one uploads a picture which shows as in my other post as either <img> [url] or what ever else. Then one can add more text and more pictures. In this forum the pictures do not show, they should and there is absolutely no alternative. The members here are not IT maniacs, they should not be and you can not ask them to do the incredible procedure which you describe. If we want to have more members, we need a simple way to make a post, nothing like what we have at the moment. Why do'nt you go and have a look at TMT ? http://www.talkmodeltoys.com/discus/messages/27668/27668.html It was an almost perfect software for a Dinky forum and it is of a very simple design, easy to use for IT illeterates which most of us are. The software is not what's at issue here - it's a matter of correct coding. Allow me to correct your image inserts so that you can examine the structure. This forum uses html tags - the old vanilla/BB-type forum tags with the square braces [img] and closing tag labels [/img] are not supported here - and increasingly not supported anywhere due to the security issues they generate. To ensure that this form of code is entered correctly, I advise you to use the Image icon that is available in the top row of the text-editor window. Paste your image path into the first field and click OK. The system will then insert your hotlinked image correctly. Simply pasting a link into the editor window will fail. How come that the picture at the bottom of my post does not show anywhere when I edit the post or in the source ? How can I delete it if it does not show ? I have a limited knowledge of .html but enough to have written a document with 3 000 pages and over 10 000 pictures. M U S T show in the code and in the edit window as soon as they are uploaded. There is absolutely no alternative, this is how the forum MUST work. Forget about the bucket and all these complicated mercantile web sites. 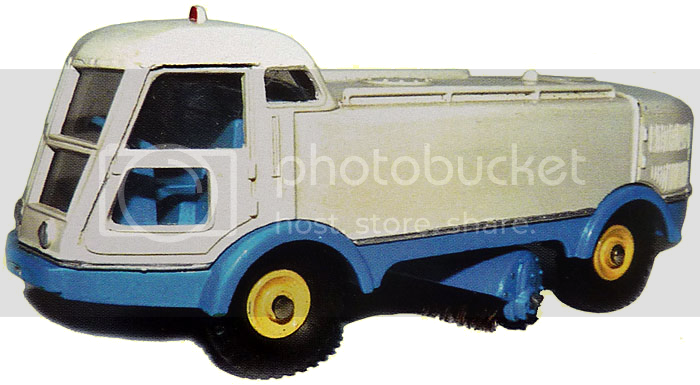 All the other forums are junk, a post must be able to have pictures and captions under and above the next picture. Also different text size and style and different alignments in the same post. Please make things as simple as possible, no useless functions or pages. P.S. This post was saved in size 20 ! ! ! This thing will not save a picture without any text. This is an other reason for uploading the picture on clicking "Upload" and showing the picture straight away. This is an evidence. A kid aged three would understant that. The dam picture is there but it does not even show in the code ! ! ! So... There are two ways to upload an image. 1) At the bottom of each text editor to "Add new comment" there is multi-uploader with the option "Add a new file". Browse your computer, click upload and click Save when you are all done creating/editing the rest of your post/comment. That's the easy way - and exactly what you were asking for, Jacques. Click the Image icon found in the top menu of the text editor panel. This gets an image insert dialog box. Click Browse Server, click Upload, Browse your computer for the image, Click Open, Click Upload, Click Insert. Yes, there are more steps with this method but the the sequence of clicks would become quickly familiar after a couple of uploads. Jacques, your post has both kinds of uploaded images - inline and (the last image) through the file uploader. If you click edit on that post, you will see that the image 596-Blue.png is listed in the file information panel just above Save. The option to remove that images or add more images is there also. Whatever html document that you might have authored previously, Jacques, it must have used html tags. All your html image tags will be in the format <img src="aPath/aFile.jpg">. The tagging system which uses [img]...[/img] is not html. It is called BBcode - developed for the old vanilla BBforum modules and is a deprecated technology because of its inherent security risks and lack of strict standards. I believe the now dead TMT forums used BBcode. Although I could permit the use of BBcode here, I am reluctant to go down that path because it would superimpose another set of methods over the existing html set - and even you, Jacques, are saying you want less complexity rather than more. If you want to hotlink to images on photobucket or elsewhere, this is possible by clicking the Image icon and pasting the image path into the first field. That's an option - but on the whole, Jacques, I don't disagree that the site should (and does) host images. Using the easy file uploader, the process takes, what, three clicks? Browse for the image on your computer, Open it, click Upload and Save. In fact, I think you don't even need to click Upload, so long as you browsed and opened an image - the system reckons that you must have meant to upload and does that anyway when you click Save to finish your post. Inserting inline images needs a few more clicks to accomplish, but it isn't a routine without signposts and should become familiar after the first attempts. 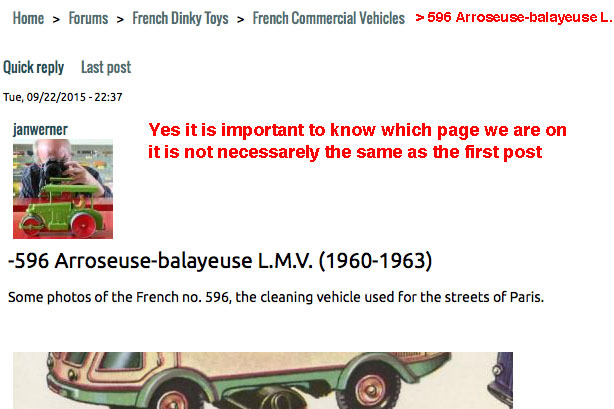 So, hotlinking, image uploader, inline images - yes, this forum does offer alternatives, Jacques, absolutely. If you upload images with the file uploader method, you can add a title which will show when the mouse is hovered over the posted image. If you want to caption your inline images, well you'll have to add that as a line of text. There's an issue with font formatting - the size and family and colour are not being saved. It's something to do with the mechanism designed to strip out malicious code, but I will have to investigate the documentation to resolve. Jacques, regarding your comment #5 - the picture and the dam text separately elements. You entered your text in the text editor panel and uploaded the image in the file uploading panel. That is why you do not see the image mentioned in the text code. Again, this goes back to the fact that their are two ways to upload images. If you had uploaded your image inline (using the Image insert icon from the text editor menu), then you would see the text and image link combined. The comment above regarding Dave Kaun is absolutely disgusting. I know how much time Dave has spent on this site and to have an internet troll make a statement like this is unforgivable. That the committee allow this to happen is absolutely incredible - this is not a friendly site anymore. Dave---Good to see you at least posting again, even if it is not for a pleasant subject. Jan and I have decided to leave the past issues here and focus on moving forward, as there have been many improvements made to the site by both Dave and Al, and I am enjoying posting again. The photo format is fantastic, with a much larger format than before. It is regrettable that many harsh things have been said during this transition, but we are all somewhat older big boys now, and I sure want to get back to sharing with you and many others who have made this club and site so enjoyable for so long. I know of no other alternative, other than quitting altogether, and at 70, am not ready for that just yet. 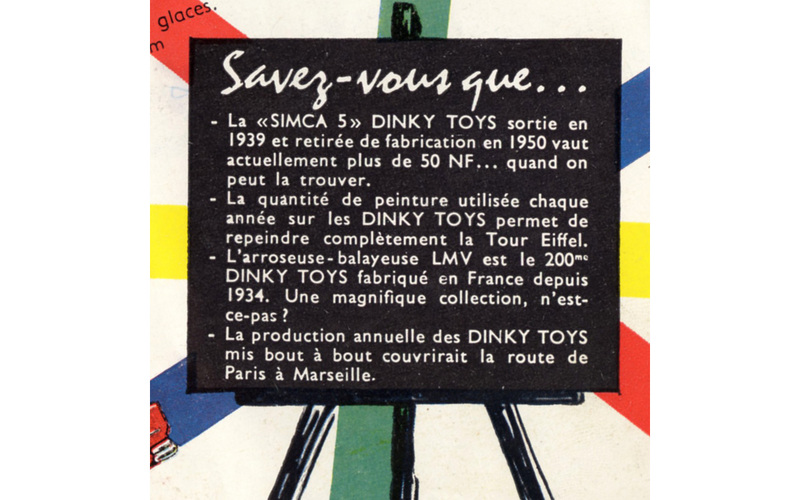 Let's all please get back to our love of Dinky's that brought us here in the first place! Thank you Terry, I walked away for a while as I was very unhappy with one member who is totally negative. I realise that I should just ignore everything, and anything, that this person does and says and concentrate on TOYS!!!! 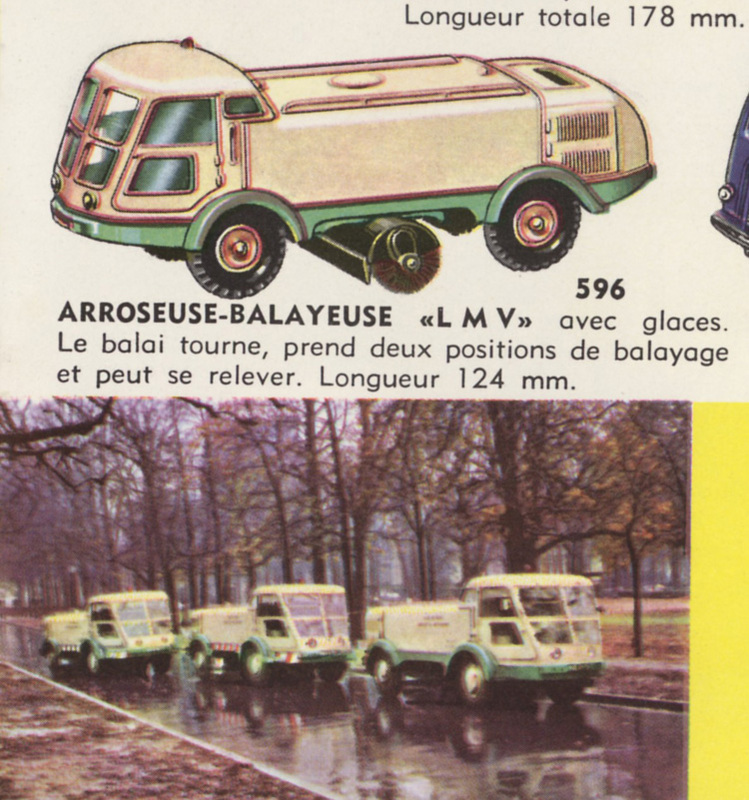 I had one of these, the 596 Arroseuse-balayeusu L.M.V. briefly in 2009 but I had to return it to Vectis. 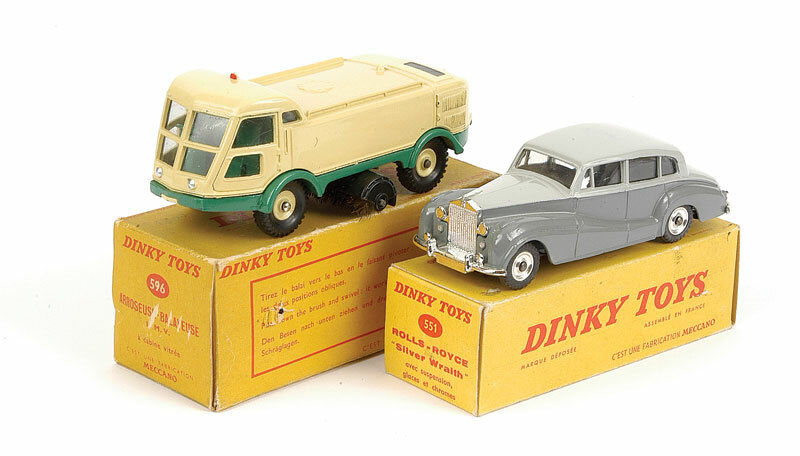 The 596 came with a boxed "551" Rolls Royce, but in reality, the model inside the 551 box was an ordinary British 150 Rolls Royce, so the entire lot had to go back. 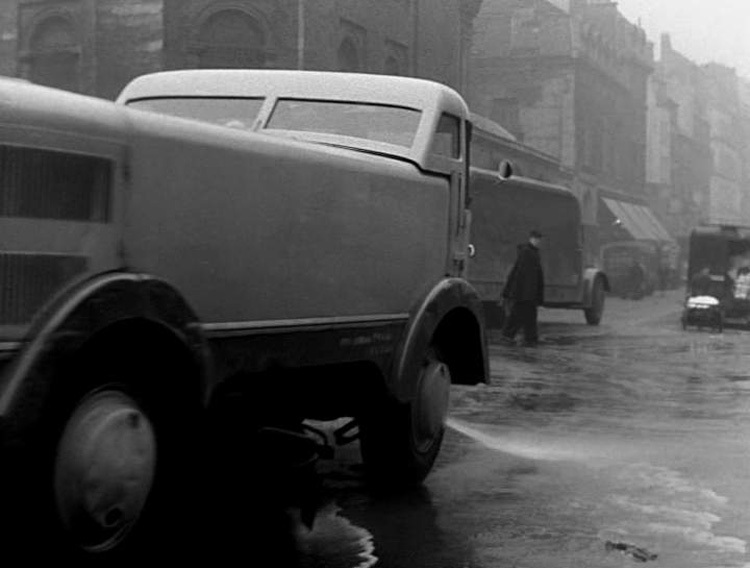 The next time the lot came up for auction three months later it sold for thirty pounds less. I would have preferred to have kept the 596 and just returned the bogus 551, as I am still looking for one at a good price!! Nice find Jan.....I know I have glanced at that before, but since I don’t know French, didn’t bother translating it.....that is great.